Just how truly inspirational is Salvador Dali’s homeland? How small would you feel in the largest Gothic nave in the world in Girona? 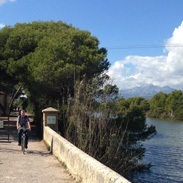 Could Mallorca really be that beautiful? Is the via verde truly that green? Are Spain’s verdant vistas, ancient villages, majestic cathedrals, sandy coves and craggy outcrops matched only by that flavour-filled glass of Emporadà or the freshest fish platter you could ever wish for? 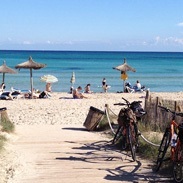 We can’t give you all the answers, but we’d like to provide some insights into a few of our favourite amazing places included in our cycling holidays in Spain. 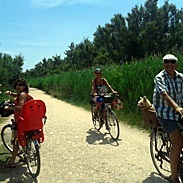 Find out more about our bike tours in Spain. This natural park was created in 1983 to protect an area of dunes, saltmarshes and coastal lakes. A great spot for bird-watching or just relaxing and enjoying the wonderful flora and fauna. This wonderful area of preserved wet grazing meadows, pools and reed-beds is a birdwatcher’s paradise, home to herons, ducks, waders and osprey. Visitor centre, hides and exhibition. 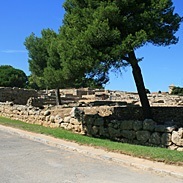 The main tourist centre on the north of the island, Alcudia is built on the site of a former Roman settlement. Well-preserved 13th C. buildings and a maze of streets enclosed by Medieval walls. One of the great cities of the Mediterranean, Barcelona offers a myriad of attractions – a stroll along the famous ‘La Rambla’, with its nightlife, museums and restaurants, fabulous Art Nouveau buildings and the unfinished masterpiece of Gaudi’s Sagrada Familia. 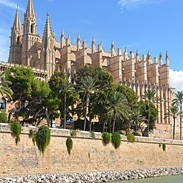 Amongst the streets of the Medieval old town is the Gothic cathedral and royal palace, or relax at the waterfront with its pristine sandy beaches and bustling marina. A former fishing village now transformed into a popular holiday resort, although a small working harbour remains. The beachside promenade is lined with cafes, bars and restaurants. This tranquil holiday town with its beautiful white sandy beaches, promenade and harbour was originally established in the 19th C. as a centre for fishing and agriculture. Set overlooking the sea are the important and extensive ruins of a settlement first founded by the Greeks in the 5th C. AD, then later re-developed by the Romans (founded by Julius Caesar in 49 BC). 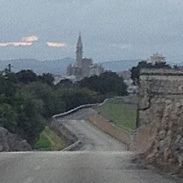 The capital of the region and birthplace of artist Salvador Dali (1904-1989). 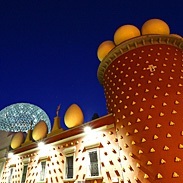 The large and eccentric looking museum was designed by Dali himself and houses around 4,000 exhibits. 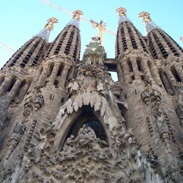 This handsome city is dominated by its 11th C. cathedral – home to the world’s widest Gothic nave. Narrow streets in the Old Town will lead you to Europe’s best preserved Jewish Quarter. 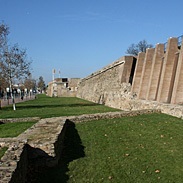 Visitors can walk the city walls and climb the towers of the old fortifications, which offer panoramic views. 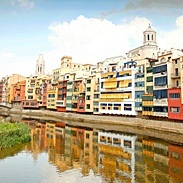 Alongside the River Onyar are rows of tall pastel-coloured houses seemingly hanging over the waters. 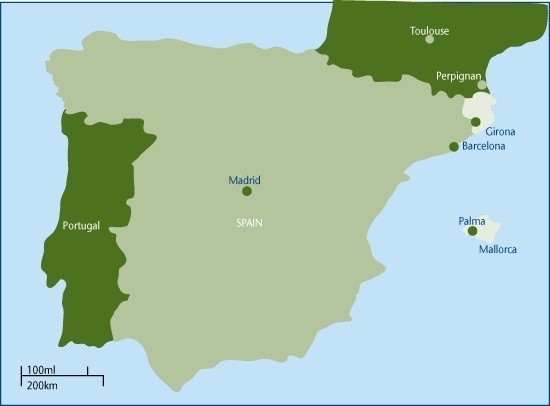 Set in the north of Catalonia, this ancient rural area is known as ‘volcanoes country’, home to more than 40 well-preserved volcanic cones and former lava flows – and today protected as a natural park rich in woodland habitats and wildlife. A former fishing settlement, this seaside town has an attractive beach and large harbour. Just offshore is the diving paradise of the Medes Islands with its abundance of fish, coral and seaweeds. Set in the Serra de Tramuntana mountains, this former monastery has been a place of pilgrimage since the 13th C. famed for its Madonna figure. Museum and lovely walks in the surrounding area. Large and bustling town dating from the 13th C. noted for its weekly street market and production of furniture and artificial pearls. 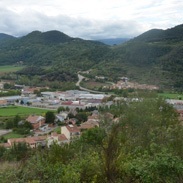 This is the birthplace of tennis superstar Rafael Nadal. 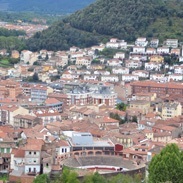 Known as the ‘city of volcanoes’, Olot is rich in cultural heritage, with the famed Fine Arts College founded in 1783. The excellent museum provides information on the college and volcanoes. 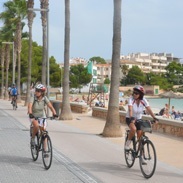 Set in a beautiful bay, the main city and port on the island of Mallorca is a hugely popular holiday destination. Its rich history dating back before Roman times can be seen in the Gothic-style cathedral, 14th C. castle, palace and Arab baths. The narrow cobbled streets and hidden courtyards of the Old Quarter offer great shopping, museums, art galleries, cafes and restaurants. 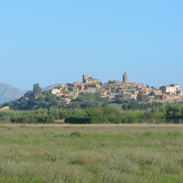 A Medieval hilltop town with cobbled streets, restaurants, craft shops and a fine Romanesque tower built 11-13th C. The nearby sandy beach is set within a bay surrounded by pine trees. Birthplace in 1713 of priest Junipero Serra. He later travelled to Mexico, then California USA where his missions developed into the modern-day cities of San Diego and San Francisco. 17th and 18th C. stone houses, villas and a Knights Templar church line the narrow streets of this unspoilt small town – once a popular destination for painters in the early 20th C.
This unspoilt, traditional port with its pleasure boats and fishing vessels is noted for its caves of ‘Cuevas Hohlen’. Visitors can take tours of the underground illuminated formations and lakes. 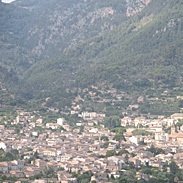 A small town with fine sandy beaches set against a backdrop of the Tramuntana mountain range. 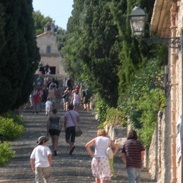 The main square with its busting weekly market is surrounded by restaurants, cafés and shops. Linked by a vintage tram to Soller, this pretty holiday resort (a former quiet fishing settlement) sits in a large horseshoe bay surrounded by the Tramuntana mountains. Set beside a sweeping bay, this fishing port and holiday resort offers a wonderful sandy beach, narrow streets of shops and restaurants and the extensive remains of the old citadel. Market town noted for its oranges and lovely Botanical Gardens. 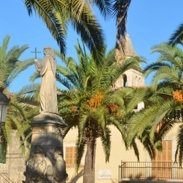 The well-preserved centre includes the 13th C. Church of Sant Bartomeu. 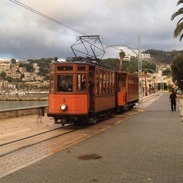 A vintage tram links Soller with Port de Soller.